Are some of my cultural friends charlatans? Sometimes I wonder if I am, a charlatan, I mean. 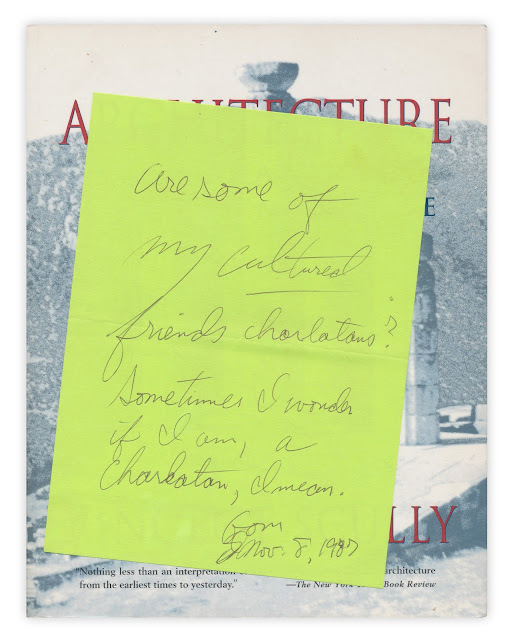 Found in "Architecture: The Natural and the Manmade" by Vincent Scully. Published by St. Martin's Press, 1991. 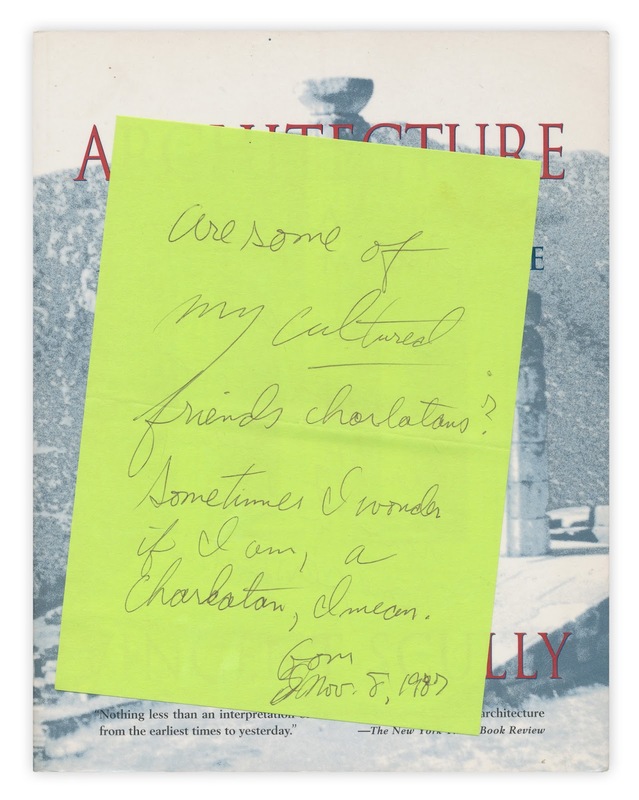 It's interesting that the note seems to be dated before the book's publication date.